Total Home Pest Control is a local, family owned and operated pest control business based in New Jersey. Total Home services Monmouth, Ocean, Middlesex, Sussex, Mercer, and Union Counties. We handle both residential and commercial accounts. Total Home Pest Control is a customer service oriented company that will get rid of unwanted pests at affordable prices while offering you incomparable service. 4 exterior treatments will be scheduled throughout the year – interior treated upon request. Covers ants, spiders, beetles, crickets, silverfish, earwigs, spiders, centipedes, millipedes, roaches, and boxelder bugs. PLUS bees*, wasps*, digger bees*, yellow jackets*, clover mites, fleas, springtails, and mice. *Includes removal of their nests attached to a structure. * Includes removal of their nests attached to a structure. Including your annual termite inspection and warranty. We also offer our Green Plan, which is for the more environmentally conscious customer. Click here for details. This gives us the know-how, and experience necessary to understand the needs of any type of pest issue, be it residential or commercial. 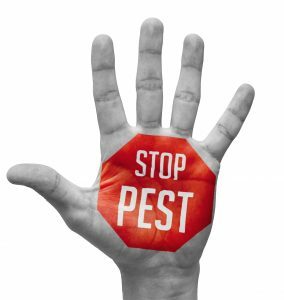 Our technicians employ tried and true pest control practices using modern day equipment, technology, and techniques. With these resources, infrastructure, and expertise at our disposal, there is no job too big or too small.Coupled with our unrivaled customer service, we know we will be able to deliver a truly one of a kind pest control experience. Our technicians are certified through NJPMA and NPMA in various categories including Core, 7a, 7b, 8b, 13 for both commercial and residential use. Through these certifications, certified applicators are required to demonstrate at minimum mastery in multiple areas. Click here for specifics. The entire process is from the outside in. If we can regularly control the bugs from the outside – we can limit their indoor presence. Pest control is a complicated issue with complicated applications. Our goal is to make the solution simple. A Total Home technician will thoroughly inspect your home or property and recommend an appropriate treatment plan. Once approved, our technician will begin treatment and you can say a fond (or maybe not so fond) farewell to what’s been bugging you. With us, pricing is easy. Our pricing is based solely on what needs to be serviced. Nothing more, nothing less. You are going to be so happy you won’t want to leave. We stand by our work. All quarterly plans include a 100% satisfaction guarantee.